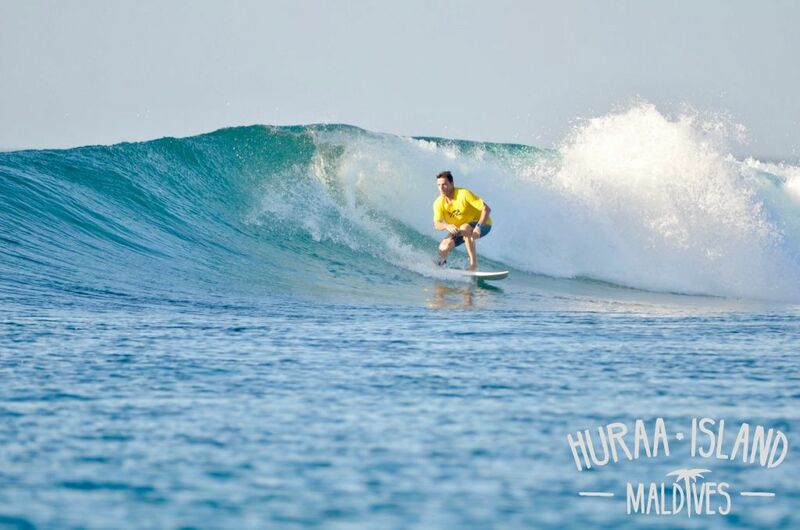 Huraa island is situated in one of the Northern atolls, where is the best surfing time May – October, cause of the South-West monsoon period and the offshore wind. There are total 15 breaks for INTERMEDIATE surfers, best wind is the southwest one. The typical madivian wave rolls up like most point breaks with workable corners, fun pockets and long rides. Very rarely will the sets wall up or close out the channels. The waves break on mostly dead reef, and very rarely will you come in contact with it unless you are surfing on a very low tide. Do you want to learn how to surf? 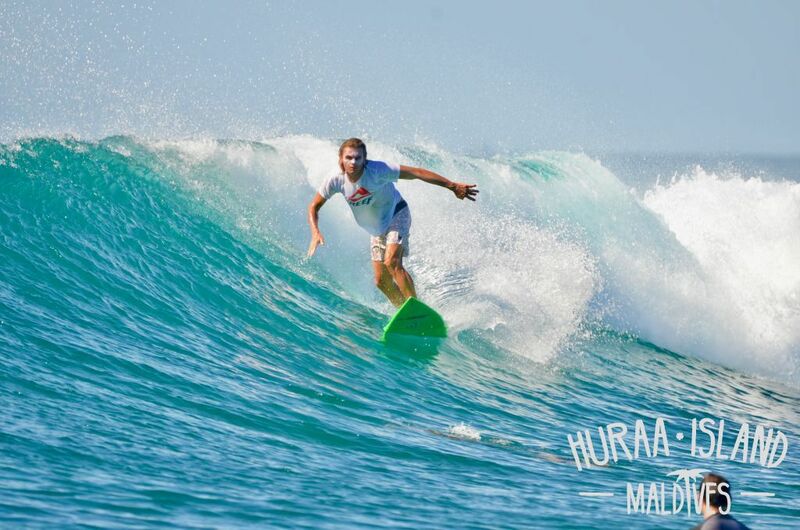 We offer one day training with surfer on Ninjas point, boat rent and surf rent with surfing twice a day – 1 hour in the morning and 1 hour in the evening for total 100USD.